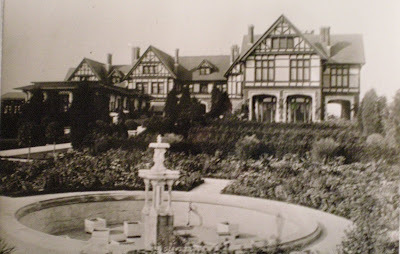 'Northwood' was built for Mortimer L. Schiff by C.P.H. Gilbert c. 1905 in Oyster Bay. The property was originally over 450 acres, and had a farm complex designed by Alfred Hopkins c. 1914. James Leal Greenleaf did the landscaping. 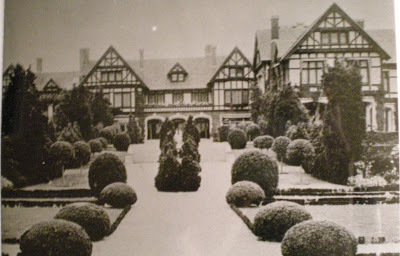 The house was demolished in 1948 by Schiff's son, who built another 'Northwood' on the same site. The estate's farm complex and main gate still survive. Click HERE to see 'Northwood' on google earth. Click below to see 'Northwood' in a 1966 aerial shot.